Inititated by cake Designer Rinku, D Cake Creations offers designer cakes for every celebration in life – Engagement, Wedding, Anniversary, kid’s birthdays, milestone birthdays, baby shower or even corporate parties – all personalized to suit your requirements or theme! Check out their unique and creative chandelier cakes! Neeta Gurbaxani is her name. A passionate cake maker who extends her sweet personality to everything she bakes, it’s no wonder that she’s simply known as The Cake Lady! An expert baker who’s been around the longest, The Cake Lady creates artistic cakes, comforting cupcakes, heavenly brownies, and signature desserts. She specializes in 3D cakes, photo cakes, sugar-free, eggless cakes, & chocolate bouquets. A bakery with its roots embedded in tradition and passion always whips up inexplicably diverse delights. The bakes are sweeter, yummier and daintier – but you can’t explain why! That magical taste is exactly the kind of journey every bite in your mouth takes when you enjoy something from Not Just Desserts. Every dessert is a dance between Sabrina’s old school vintage and Mitali’s innovative baking technology. They run throughout the week and their perfection is neatly stacked like a massive tiered cake! Theobroma means ‘Food of the Gods’ in Greek. And their cakes taste like heaven! They opened their doors in 2004 and have since established themselves as a leading food destination in a highly competitive environment. Theobroma has grown from its humble beginnings at the iconic Cusrow Baug at Colaba Causeway to a rapidly growing chain of patisseries. Their commitment to quality, innovative products, honest prices and personalised service have ensured a long list of loyal customers. After declining the offer to deliver cakes to about 30 odd people, they thought they could design and deliver even better designer cakes in and around Mumbai. So they got a cake designer on-board! They design themed cakes and cupcakes, including, cartoons, superheroes, sports, adult and more, oh and by the way, they taste heavenly and look too pretty to cut. They are pioneers in doing Custom Cakes and Cupcakes! This is definitely one of the most popular designer cake shops in Mumbai, focusing on aesthetics, taste and hygiene. The best part is they deliver all across the city on all days of the year. And you also get to personalise your cake and create any style you want! Love and Cheesecake is a well-known shop for cakes in Mumbai. 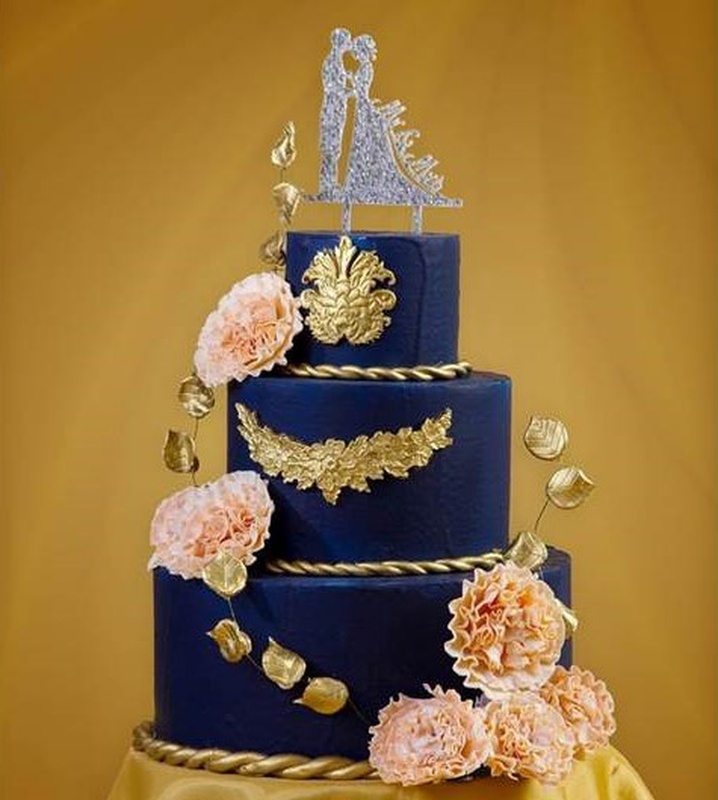 They add flavours and designs to your wedding through their unique and beautiful cakes which are always loved by every single couple as well as by all guests. Love and Cheesecake is an artisan patisserie aiming to spread the love of premium desserts. They assure you their taste will add sparkles to your engagement and wedding. Trust them to build your cake memories! Deliciae Patisserie is a premium cake & pastry shop in Mumbai. Ms. Bunty Mahajan, the Le Cordon Bleu trained chef has built the brand on two basic principles - quality and the customer. They specialize in customized wedding cakes, anniversary cakes, engagement cakes, kids’ birthday cakes, designer cakes, baby shower cakes, theme cakes, photo cakes & cupcakes, celebration cakes, bachelorette party cakes, cakes for gifting and more. Pick a design you like, and then choose from delectable flavours such as the Belgian Chocolate, Red Velvet, Hazelnut, Salted Caramel and more. You can then sit back and relax, and expect a wonderful cake to arrive at your desired location, on your chosen date and time. Disclaimer: All images solely belong to the respective websites and are subject to ownership by the same.